On 23rd March, the Mayor of London, Sadiq Khan, launched Culture Seeds – a new £1million micro-grant programme which will bring bright ideas to life by supporting creativity in all of London’s communities. 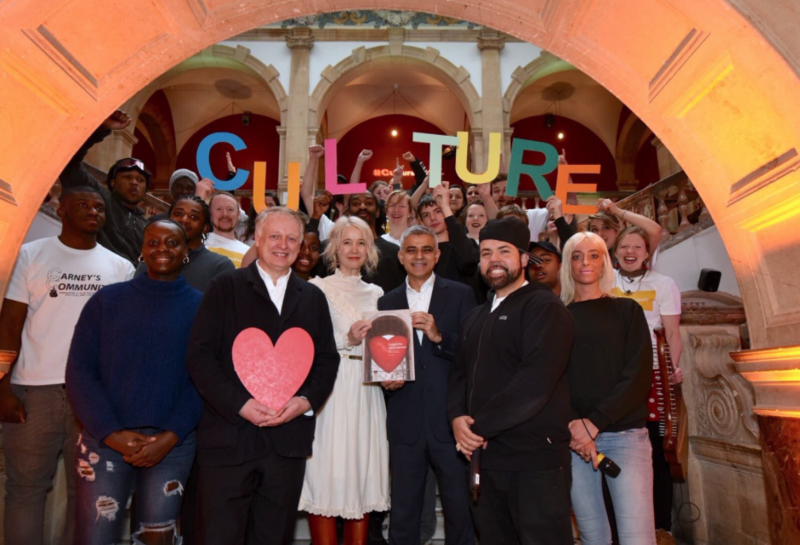 Culture Seeds was launched on the same day as the Mayor publishes his draft Culture Strategy – Culture for All Londoners. Khan's strategy lays out a bold vision to sustain London’s position as a global capital of culture, while also ensuring that all Londoners have access to culture on their doorstep. Culture brings communities together and helps create a strong sense of identity. Culture Seeds will support grassroots organisations, artists and creatives with up to £5,000 to make their ideas a reality. Culture Seeds will reach communities who don’t ordinarily access grant funding, especially individuals and smaller grassroots organisations working locally. Successful applicants will receive support from City Hall and will be invited to join the Culture Seeds Network to help them make the most of their project. Khan visited Battersea Arts Centre (BAC) with Deputy Mayor for Culture and Creative Industries, Justine Simons, to launch the programme and take a tour of the newly-refurbished building. The tour included the Grand Hall which reopens in September, after a fire in 2015, and the new Scratch Hub - a co-working space for up to 150 start-up enterprises. He also watched performances from Battersea Community Choir and BAC Beatbox Academy.